I was at Convergence a while back and Fujitsu was showing a very slick cluster in their booth. 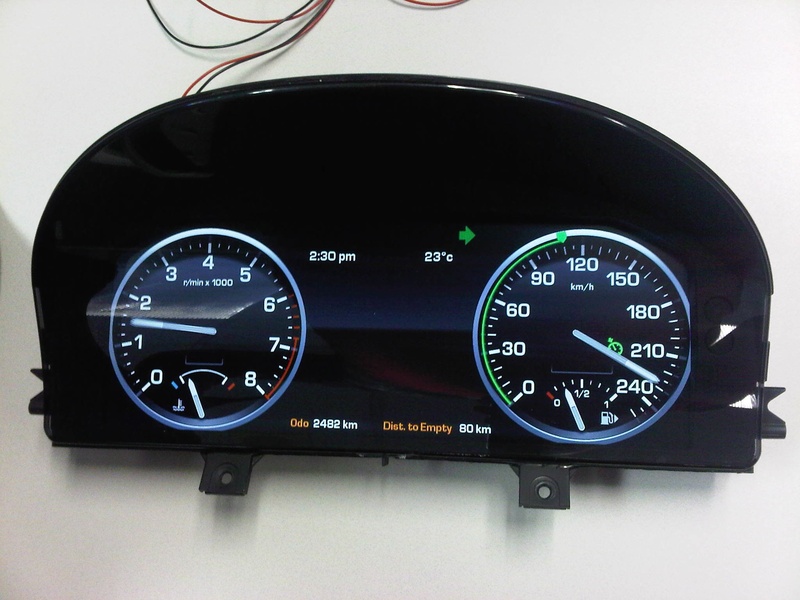 This cluster was developed by Visteon using QNX Neutrino RTOS running on the Fujitsu Jade. I am pleased to say that I now have managed to acquire two of these platforms and will be showing Range Rover and Jaguar clusters at our suite at CES in early January. If you want to come see them drop me a line. This week RealVNC joined us at the QNX Automotive Summit in Stuttgart. They demonstrated their VNC® Mobile Solution for Automotive and how it provides remote access and control of virtually any mobile device from the head unit in the car. It is going to be a very welcome addition to QNX CAR. 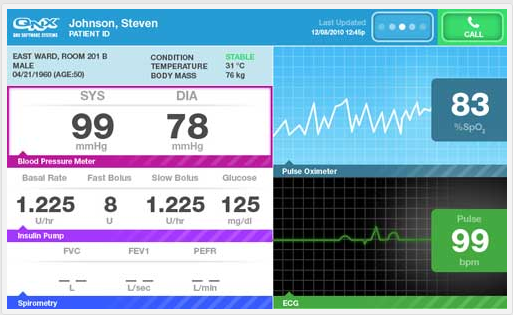 The VNC solution can automatically detect and control a mobile phone from the vehicle’s touch-screen as well as other input devices like steering wheel switches. It is very, very cool. OK – I am a bit late in posting this but I did want to mention all the places where folks we work closely with were demonstrating QNX. I already mentioned the digital instrument cluster on the new i.MX53 automotive reference board but QNX was in a number of other booths as well. Elektrobit was showing the Audi A1 infotainment system that combines the best of QNX and Elektrobit technology. Fujitsu managed to get an actual production cluster from Visteon that has QNX running on their Jade SoC. TI had a suite where they were not only showing QNX CAR but also QNX booting on one of their yet to be announced processors. All this on top of the launch of our new QNX CAR Corvette powered by the Freescale i.MX51 and a demo of the off-board speech recognition capability from Nuance in the QNX booth. Last week QNX hosted its annual Japan Technology Innovation Conference at the Canadian Embassy in Tokyo. It was particularly special this year as we were able to celebrate the 30th anniversary of QNX along with our Japan customers. We are pleased to report that this full day event which was supported by numerous partners was a resounding success. The conference this year records our largest attendance ever – 125 participants! With another 35 exhibiting partners & distributors, the venue was jam packed – as you can tell by the pictures. A special mention goes out to the Freescale Japan team for the management and on-time delivery of teh live BMW x5 demo which went from car purchase to demo completion in a record 4 weeks! Even the Canadian Ambassador to Japan came by for a spin! My colleague Paul Leroux has done a great write up on our our new iPod Out solution for Automotive at On Q. In addition to the great run down on Remote Terminal and Tethering I’d like to add that we’ve completed our initial deployment on an OMAP platform for automotive from Texas Instruments. Customers and partners can obtain this solution by applying for and participating in the QNX CAR Program. Customers already participating in the QNX CAR program may update their previous platforms to a Texas instruments development environment by contacting their local sales representative.